Bing - can it break the Google stronghold? Microsoft believes that the Chinese search market could hold the key in its battle to get Bing a significant global share. Bing has made some inroads into the search market since its launch, but with Google still hugely dominant on a global scale, more work needs to be done. One market that Microsoft has picked out is that of China – although the influence of the authorities in restricting information and sites it does not deem proper for its people add an extra dimension for the computer giants. "Microsoft is committed to the China market and the search market in China is the most important strategic market for Microsoft," the company told Reuters. "We specially set the search technology center in China to get a deeper understanding of what Chinese users need, to be able to deliver the best product to them." 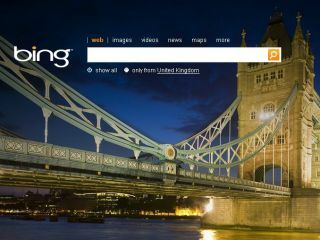 Bing has already launched in China, although it remains in a beta form – with more localisation a key factor for Microsoft.